TLSC racing began with 2 fleets: a large mixed fleet of varied boats and a Sunfish Fleet. We gradually evolved into racing MC Scows with an occasional C Scow. Now we are including any boats over 14' to sail with the scows. This year we will be trying to get a Small Boat Fleet formed which would be any boat with a sail under 14'. This fleet will sail 5 minutes after the Scow+ Fleet. 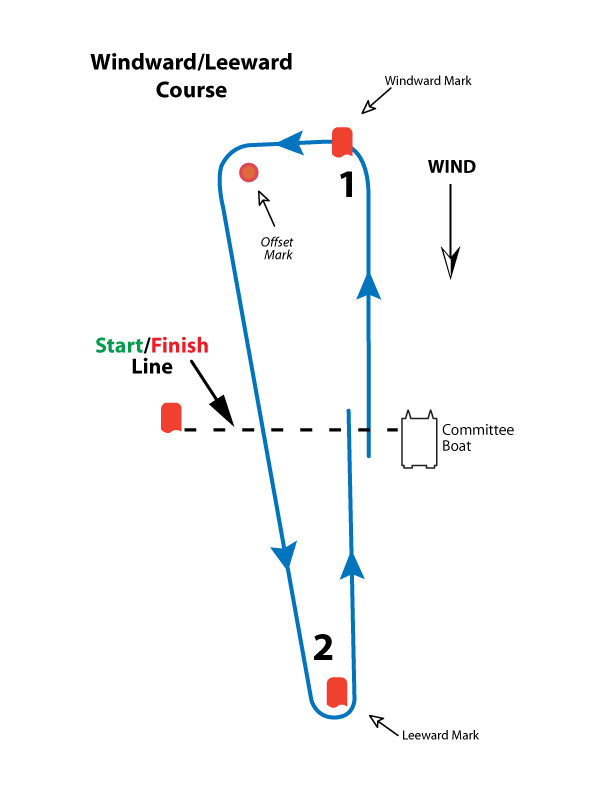 WL 1 - Start between the red flag mark and the committee boat; round the windward mark,and the offset buoy; round the leeward mark and finish between the red flag mark and the committee boat. Displayed alone if the start of the race is being delayed for a maximum of 60 minutes from the scheduled start time. The flag will be lowered if conditions change to allow the race to be started and a 10 minute assembly horn will be sounded. When displayed with the A, it means the race is abandoned for that day and may be rescheduled.